A shareable moment that doesn't require a hard copy. All photos by Daniel Schwartz. 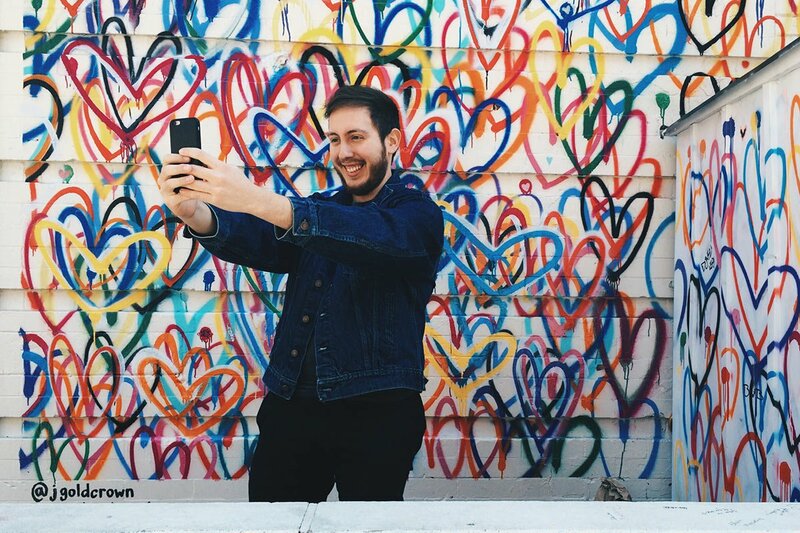 Popupla's Daniel Schwartz has spent months trying to convince the team to get on Snapchat. Because of arguments against (the whole everything-disappears spiel..) and troubles learning the interface, he wrote a step-by-step guide to understanding the social media for travelers who weren't introduced to it in college. FATHOM HQ – As the youngest member of Team Popupla, it's my duty to teach the office about Snapchat, the social media app that has been making waves with teens, celebrities, corporations, and influencers of Instagram fame. But as time-crunched adults (eternally young and always traveling), they've had trouble grasping why and how to use Snapchat on the go. If you're in a similar bind, this elementary guide covers all the basics. Snapchat is a smartphone-only social network that allows users to create multimedia messages (known as "snaps") that dissapear after preset periods of time. Snaps are highly customizable, which is a major part of the appeal, and can be shared privately with select friends or publicly with all followers. Though once used primarily for sending nudes, Snapchat has evolved into another form of voyeuristic storytelling entirely, a platform where everyone shares their lives in short, ephemeral snippets. Because snaps eventually vanish, Snapchat is less about immortalizing highlights and more a vehicle for democratically sharing your point of view. While influencers rule Instagram, grandmas colonize Facebook, and headlines overtake Twitter, you and I (and Kylie Jenner) use Snapchat. Snaps from @thomas_k, @ggnitaly84, and @drewak. WHY SHOULD I START USING SNAPCHAT? Because you want to share the journey and not just the destination. And you want to have fun in the process. You say you have neither the time nor the urge to share trivialities? Snapchat isn't for everyone, but travelers who feel limited by the highly curated nature of Instagram, Facebook, and Twitter can use the app as an alternative for posting photos and videos of small but significant moments that don't look like a million bucks. Plus, Snapchat won't clog up your camera roll with photos you will never look at twice. The reality is, we connect most effectively over mundane but relatable moments. And there's no shame in that. WHAT MAKES IT SO GOOD FOR TRAVELERS? At the very least, it's a great platform for spectating. Sit back and look inside the private lives of your favorite travelers. Their Snapchat updates peek behind the veil of their Instagram accounts, affording you versions of their lives that aren't overly edited and highly curated — just raw and real and relatable. When they travel, you're with them every step of the way: through the airport, inside the hotel room, at lunch, out shopping, and during late-night shenanigans. 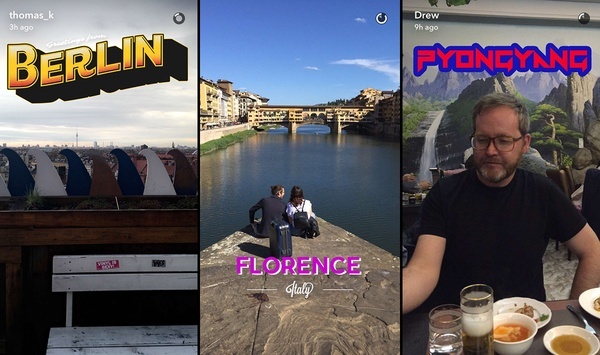 Snapchat is an all-inclusive atmosphere where nothing is permanent and there's no grading system (likes, hearts, retweets), so you're free to share a more complete picture of your travels as they unfold. When sharing publicly, your followers (mom, friends, co-workers) can tag along on neighborhood tours, nights out, and not-so-pretty meltdowns. When messaging privately, you can more effectively communicate niche finds (look, you'd love this), inside jokes (look, you won't believe this), and frustations (look, I just can't with this). Read on for the step-by-step Snapchat tutorial.